Our clay pigeon shooting is set amidst some of Scotland's most spectacular Highland and mountain scenery. Guns, cartridges and instruction are supplied and all shooting is conducted under strictly supervised safety conditions. We offer this shooting package with either 20 bore or 12 bore shotguns or a semi automatic that greatly reduces recoil. Clay shooting is great for competitive fun for groups or individuals. You should bring with you, water-proofs or wet weather clothing and sensible outdoor shoes. 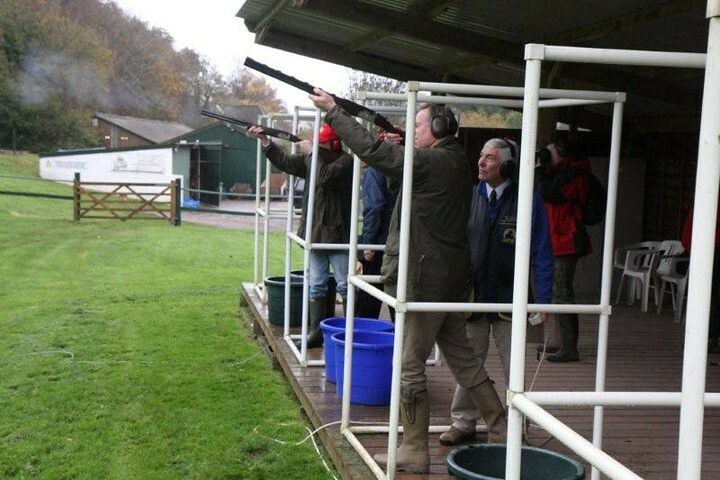 We also offer Laser Clay Pigeon shooting an entirely safe way of having some great fun.